There was one survivor from that fateful day on the 25th June 1876, when Lt.- Col George “General” Armstrong Custer led five troops of the 7th Cavalry in his fatal attack on Chief Sitting Bull’s combined Sioux and Cheyenne encampment at the Little Big Horn. 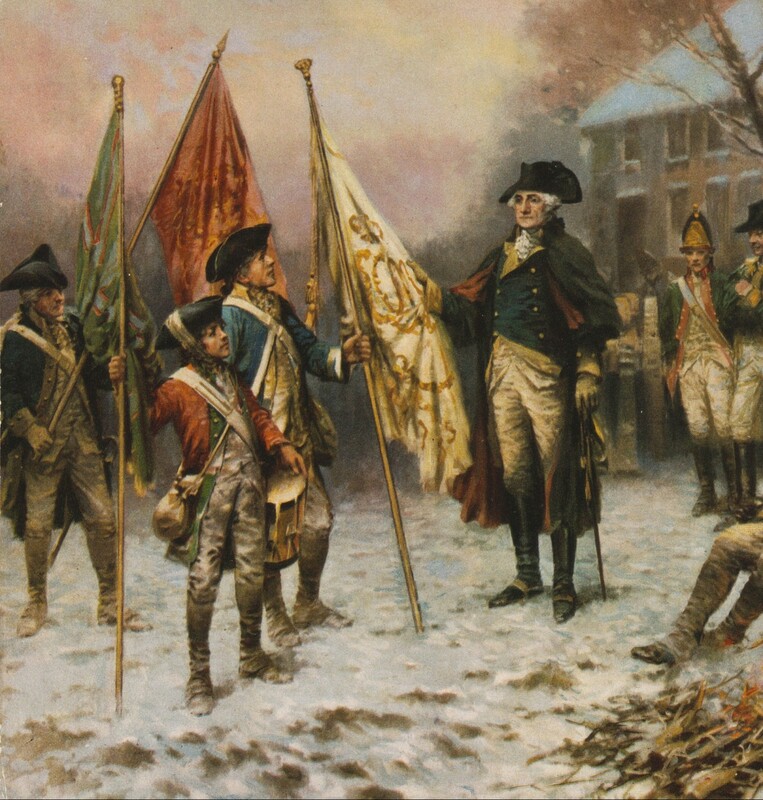 Two days later, when General Terry’s force arrived at the scene on the disaster, the only living creature was “Comanche”, the mount of “I” company’s commander, Captain Keogh, who was found bleeding from a number of wounds, standing on tired legs next to its master’s body. Gently, the troopers made hoops for the faithful horse, which was then transported, back to Fort Lincoln by wagon. Nursed back to health, from that day on Comanche was treated with the greatest respect by all ranks, being brushed daily and allowed to graze wherever he wanted. 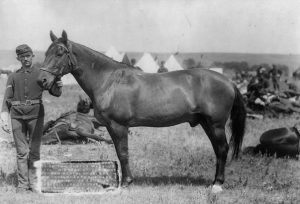 Decorated with the Medal of Honor for his master’s stand against overwhelming numbers, Comanche received the honour of being paraded at ceremonies, and on every Pay Day the troopers of the reconstituted 7th Cavalry would present to him a bucket of beer, which the gallant horse was well known to enjoy.